Hey guys. Hope you've all had a great week. On the blog tonight I have Feeling Shapely 02 by Lina Stamping Supplies sent for review by Nail-Artisan. If you haven't guessed it by the name. this plate is all about shapes and it's predominantly dots. 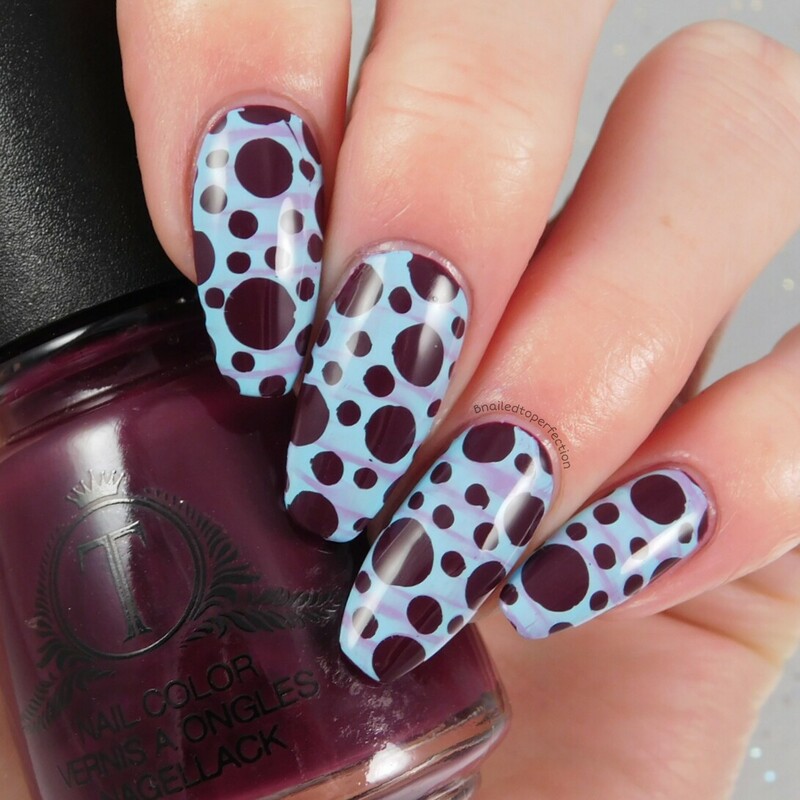 We all know a dotticure is a nice simple mani to do but it's very easy and simple to do one with this plate! 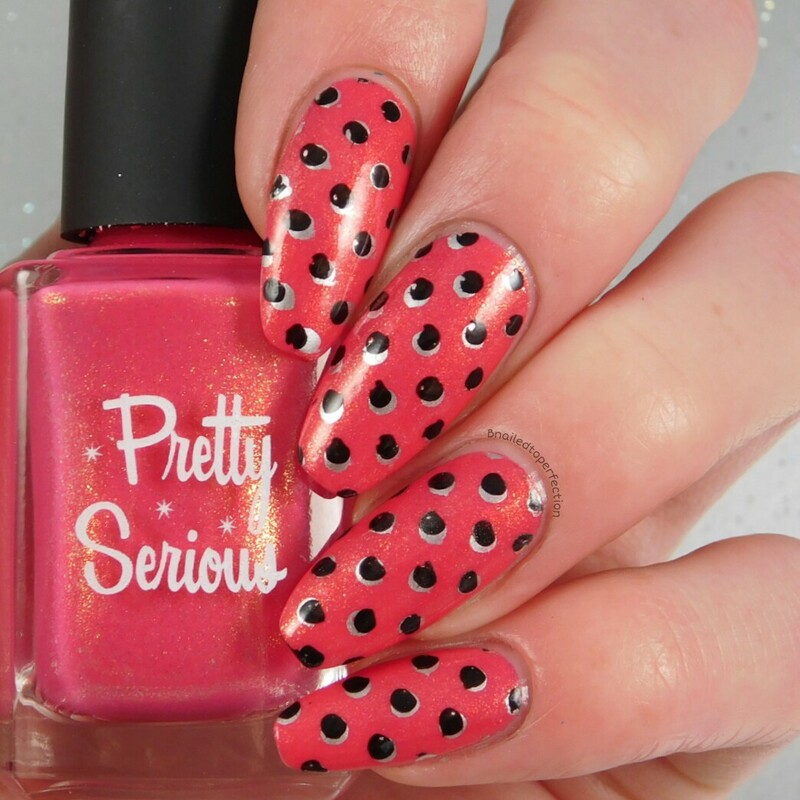 For my first mani from this plate it had to be a dotticure! I used Bad Reputation from Pretty Serious as the base and then layered one of the dot images over itself. First I stamped with Barry M Foil Effects in silver and then stamped with a black stamping polish. 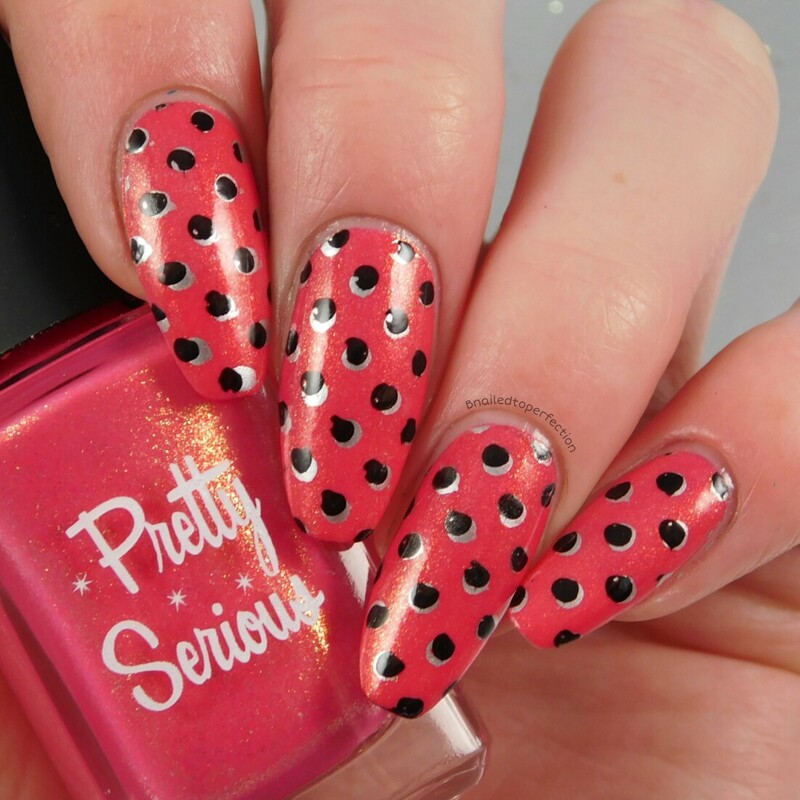 I love how you can get a great dotticure with such little effect! My next mani was inspired by a technique I saw on the Lina Stamping plates Instagram and thought it looked so cool! I think the person used sheer polishes or maybe regular polishes but I was pretty happy with how mine came out. First you apply your first colour choice on the image, scrape and then apply your second colour, scrape and then pick up. For me it created this marbled effect! I used Majesty from Trosani as the base and stamped with Colour Alike B.a Berry Smoothie and B.a Blue Sky. I also did this mani with the Feeling Shapely 02 but I can't take credit for the design as it was a recreation for a friends birthday on instagram. It's a lovely design isn't it?! 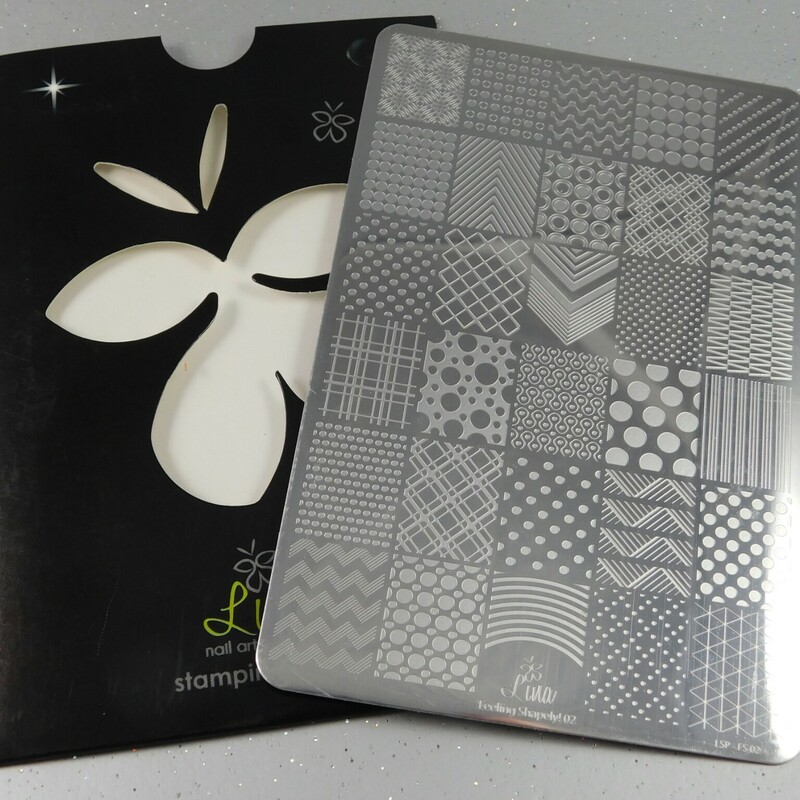 You can grab the Feeling Shapely plate 02 from £12.25 along with lots of other Lina Stamping plates at Nail-Artisan.